4 ingredients, 5 minutes prep time, ultimate side dish. This dish combines some of my favorite things. 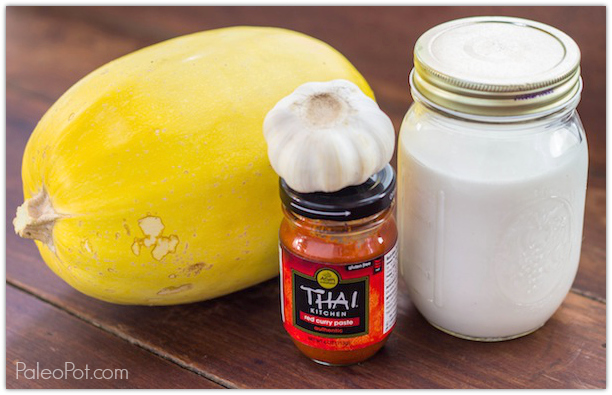 The crock pot, spaghetti squash, curry paste, coconut milk, and super easy meal prep! 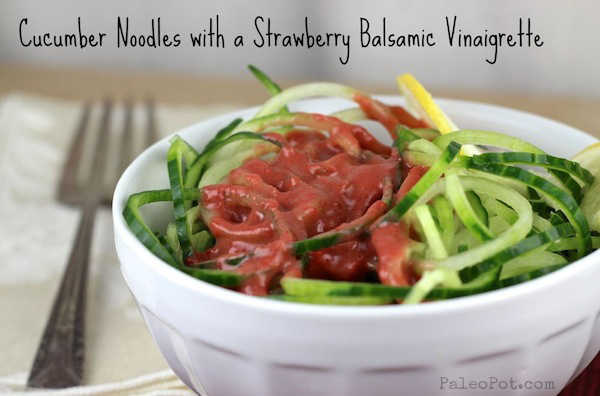 This one is going into my weekly menu rotation as a staple, and I’m sure many of you will love it just as much! Really, just 4 ingredients, and the garlic is optional! I highly suggest the Thai Kitchen brand red curry paste. It contains 100% paleo friendly ingredients and can be found in the “international foods” aisle of most chain supermarkets. It is also quite tasty. 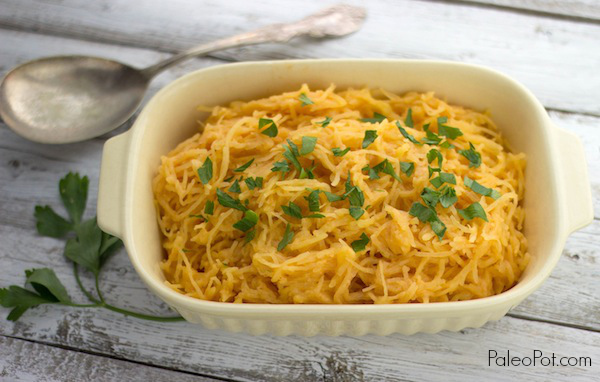 This is how your spaghetti squash should look going into your crock pot. 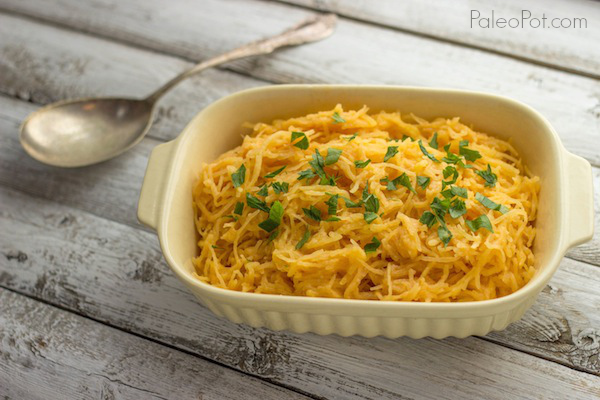 Crock pot spaghetti squash is just absurdly easy isn’t it? 1 medium spaghetti squash, 3 to 4 pounds. 1 can of coconut milk, room temperature, well shaken. 1/4 cup of water if using a full-fat coconut milk. 1 to 2 Tbsp of red curry paste. I recommend the Paleo friendly Thai Kitchen red curry paste. 4 to 6 whole garlic cloves, optional. Cut your spaghetti squash in half the short way. A serrated knife helps if you are unsure about cutting a hard squash. Scoop out the seeds from the inside of your squash halves. I suggest you save them to oven roast them! Poke holes into the tops of your squash halves with a fork, at about 4 different points. Pour your coconut milk (and water if using full fat coconut milk) into your crock pot, and add your curry paste (and garlic cloves if you are using them). 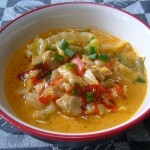 Mix your curry paste into your coconut milk until it is dissolved. Place your squash halves open/cut side down into your coconut curry mixture. Cover and cook on low for 4 to 5 hours. I recommend 4 since I like some texture to the fibers of my spaghetti squash. 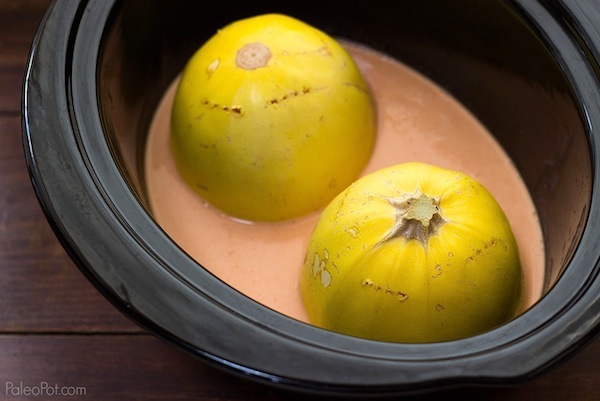 Remove your squash halves from your crock pot (warning they will be hot!) and use a large fork to scoop them out into a large bowl. Once your squash is removed into a bowl, add as much or as little of the coconut curry mixture remaining in your slow cooker and stir well. If you included garlic cloves, mash them up and mix them in well. The squash I used was just under 4 pounds, and is also with a 6 quart crock pot. Guess you have some big squashes! Finally found an acceptable-sized one! I had to squash (bad pun, not sorry) the halves in there, but they fit. Nice! Let me know how it turns out for you! The squash itself came out kind of soggy. I seem to have that problem with almost everything in my crockpot – proteins with too much liquid, mushy veggies when I tried to make your pad thai, etc. But I just pureed this with the extra curry liquid, and it made for an awesome soup! Added cilantro lime chicken and green onion to this serving – next one will have bacon! I’m trying this today! Also live in Texas, but since I have multiple crock pots, I figure I can run two at a time if necessary! I use a large dutch oven, cut my squash into quarters–results are the same, although I only cook for a couple hours or so. I add a pinch of cayenne, as the curry paste isn’t as spicy as I expected. At the end, I add cooked shrimp. 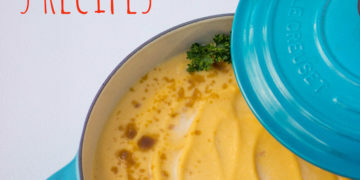 Love this recipe and make it often. Thank you! Looks yummy and can’t wait to try, but what if I want to add some meat and make it a meal? What do you recommend? Cook shrimp separate or throw some beef into the crockpot/cook separate? Thanks! Shrimp would go great with this! You can either grill them separately and add them to the final product, or you could add raw shrimp to your crock pot for 10 minutes (about) after it is done cooking and still on. Shrimp cook fast like that! Let me know which way you end up going with and how it comes out! The curry paste is it spicy like jalapeno hot or just mild like cumin? This particular paste is a mild spicy, yet slightly spicier than cumin. Not nearly as spicy as a jalapeno. You can start with less paste and always add more to the liquid if need be after cooking. 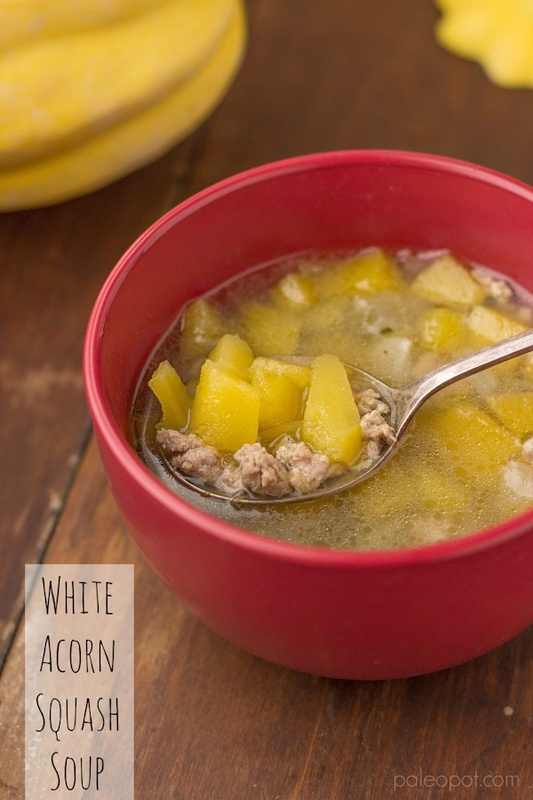 Just curious if you have successfully added meat to slow cook with the squash? Any suggestions and whether the cook time would change. Thanks! This looks delicious! I’m currently obsessed with my crock pot and trying to do some of the 5:2 diet. This seems to fit perfectly in with it. Unfortunately my slow cooker pork al pastor wasn’t exactly the healthiest taco you could make, but hey, it has fruit! Can’t wait to try your recipe especially now as autumn is beginning to settle in! Thanks! I must admit the tacos al pastor are one of my favorite recipes. I love that marinade and the fruit salsa! Mmmmmm. Can u do this with panang? I made this late last night and it WAS very easy. I added more curry paste – probably a total of 4 tablespoons. Next time I will add more garlic, a little ginger and a source of salt such as tamari. I ate it for breakfast this morning (just couldn’t wait) and the wonderful flavors are lingering so I can’t stop thinking about them. This is amazing! Thank you so much for sharing this recipe. For those questioning what to pair it with, I sauteed chicken in coconut oil and drizzled some of the curry sauce on top after plating. By regular I mean a can that does not say “light” on it, as does the Trader Joe’s brand. I never recommend the cartons, that stuff is always to be avoided. Hope this helped! I didn’t realize both halves wouldn’t fit until I cut the squash. I have a 4 qt oval and a 6 qt round. Guess I get more sauce and will have another round to cook. Maybe time to invest in a 6 qt oval. Curious why you have coconut milk shown in a canning jar? Is it always best to keep it like that? i do not have the curry paste, any substitutions? I really recommend finding or ordering the curry paste, as a curry powder simply is not the same! Crazy easy and freakin’ delicious. My crockpot is too small so i used my larger dutch oven and went stovetop on a hair above low heat for 4 hours. The lid didnt close all the way, but thats ok….after a bit of cooking it did. I added cracked pepper and about 3 tbs of curry paste. Also added cooked shrimp I had leftover in the freezer. I can’t stop eating it–thanks for the recipe! There should be a “printer friendly” button here some where? Does anyone know what the calorie count is per cup? 1/4 c of the curry sauce (using lite coconut milk and 2 T f the Thai Kitchen curry paste) has 58 calories. The recipe makes about 1 3/4 sauce total. 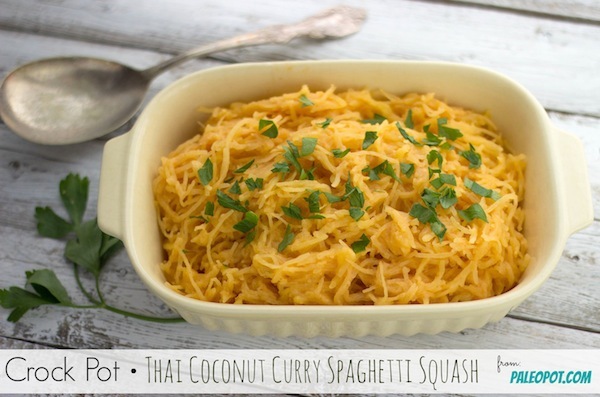 OK, I like the flavor, the sweetness of the squash with the curry and coconut. But it was a little watery for me, I took the squash out without scraping it out of the shell and poured the liquid off into a saucepan and reduced it. Not a fan of the crockpot, everything I put in it gets too watery, even when I don’t add liquid. But I am sure I can do the same thing with this in slow oven. Made this fabulous dish for the second time today. Significant improvement by cooking on low for only 3 hours (squash less watery, more threadlike). Tossed in shrimp, sliced mushrooms, bamboo shoots, water chestnuts, and red bell pepper for 15 minutes at the end. The results were divine. I could eat this every day. Thank you, Mr. PaleoPot! This was so delicious, thank you! I tossed it with shredded chicken and bean sprouts and it was insanely good. Will definitely make again. I’d keep it up to 4 days after cooking in the fridge. delicious and easy to make. no more junk food at lunch, thank you. 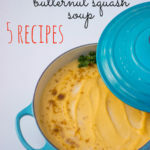 Paleo Butternut Squash Soup - 5 Slow Cooker Varieties.